“Buddy of mine co-produced his show in Jeddah, Saudi Arabia, a show that simply would not have happened with any other celebrity. 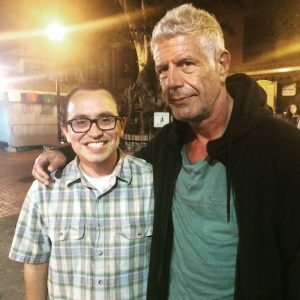 He found Bourdain exceptionally (shockingly) civil in a country where the locals are quite familiar with cliched, harsh judgments. see the pattern. Hey, we love those Rusky Bastards! That’s what George Patton said…. and sure enough his staff car is involved in a odd accident and he dies two days later. after the end of hostilities in WW II – VE Day! *We didn’t mention a couple of unanswered questions: When he was “found unresponsive” did he have any drugs in his body? Who found him? Did they try to revive him? Was his room in the hotel dusted for prints and DNA? Why not? When are the results of the autopsy going to become available? Was their a police report by the Paris police. When was the last time he was seen alive, on video or in person? Who was the last person to go to his room? Did he have room service? What was the last thing he had eaten? Any poisons or heart medication in his system? Sort of reminds us of Princess Diana…..in Paris…one more time for mother! We’ll get right on that, as soon as we can. Thanks for reposting, Vern. Was listening to Bourdain’s Christmas in Manila episode driving down to San Diego (my passengers knew Kate Spade better than Bourdain, and that’s a tragedy of its own). Damn. Robin Williams, Chester Bennington, now Anthony Bourdain. Hurts my heart. Mine was just about the depths of my personal devastation making it impossible to concentrate at work. He was, in all ways, the internationalist anti-Trump. He was a true hero to so many working class people. I do like the Russian angle, of course we must all dismiss this out of hand. As if they would bother after electing tramp. Mental illness is all around us. 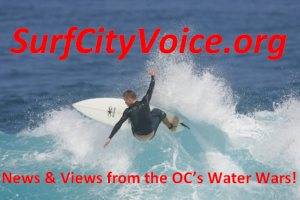 I am on the homeless issue and several homeless people a year hang themselves in OC, I get the coroners reports on it regularly. But I really think many of the homeless people would not end up dead if they had the psych or med services available to them and of course a place to live. Anthony will be missed we always watched him.